Kimon Fountoulakis, Postdoctoral Fellow, University of California Berkeley. Abstract: In this talk we will discuss optimization formulations and algorithms for applications that arise in machine learning and network science. Large scale data are becoming increasingly abundant for both commercial and scientific usage. This is motivated by easier means of gathering data from diverse sources. The sheer size of the data necessitates the need for developing efficient optimization formulations, serial and parallel optimization algorithms, and easy to use software in order to reduce the running time of processing the data. Some examples where processing of large scale data is useful are prediction and pattern recognition tasks in machine learning and network science, i.e., regression, classification, clustering and community detection. These tasks are tightly connected to numerical optimization and high performance computing. For example, regression tasks such as linear regression and logistic regression are often formulated as unconstrained convex optimization problems. While clustering or community detection problems are often formulated as NP-hard combinatorial problems which are then relaxed and posed as convex problems such as linear, quadratic programming. We will demonstrate worst-case running times as well as practical performance of state-of-the-art optimization algorithms for these problems. 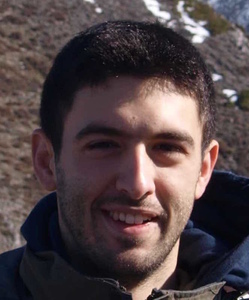 Short CV: Kimon Fountoulakis is a postdoctoral fellow and co-PI at the University of California Berkeley and the International Computer Science Institute where he has been a member since 2015. Kimon completed his MSc and PhD at the Department of Mathematics at the University of Edinburgh both in the field of numerical optimization. Kimon’s most recent work focuses on scalable graph analytics and in particular the application of large scale optimization to local graph clustering. He has also worked on parallelizing first-order optimization methods for local graph clustering and machine learning problems. During his PhD, Kimon worked on developing and analyzing second-order optimization methods for machine learning and signal processing problems.